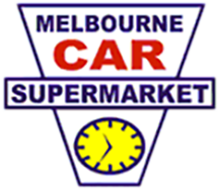 Melbourne Car Supermarket is located in the South Eastern Suburbs, in Cheltenham/Moorabbin. Only 25 minutes from the CBD, visit us today! Here at Melbourne Car Supermarket, we believe that the wisdom to learn from experience, and the courage to push the limits of cost competitiveness leads to lasting success. We have a large group of independent dealerships, that provide you with a huge range of quality Used Cars for sale. All makes and models something to suit everyone, whether you are looking for a small car, SUV, commercial vehicle or family vehicle you will be able to find it here. It is important to the team at Melbourne Car Supermarket that our customers drive away in a used car that is perfectly suited to their needs, budget and lifestyle. We want our customers excited about their new vehicle purchase and very satisfied with the high level of customer care and service they received. As well as offering a range of used cars for sale, Melbourne Car Supermarket also offers a selection of Finance solutions, to get you on the road sooner. If you have any questions about any of our used cars on offer, please Contact one of our dealers today.